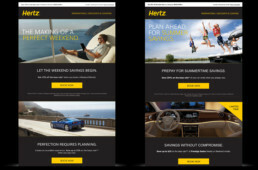 The car rental giant needed consistent branding across many channels and touch points to ensure an effortless customer experience. From promotional to loyalty to transactional email campaigns, we've left no stone unturned. 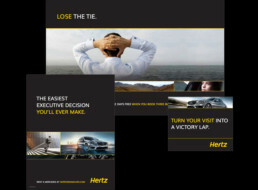 Given the shift in the car rental industry, Hertz felt the need to refresh their identity system. 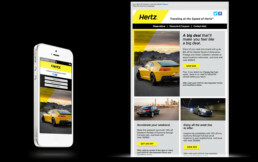 As one of the few "Agencies Of Record," we took the lead role in creating how the new system would work across the digital landscape.